PA chairman's spokesman says Trump's peace deal will never succeed if it doesn't include Jerusalem. Nabil Abu Rudeineh, the official spokesman of Palestinian Authority chairman Mahmoud Abbas, downplayed on Wednesday the importance of the talks on the "Deal of the Century", the name of the political initiative being formulated by the U.S. administration to resolve the Israeli-Palestinian conflict. 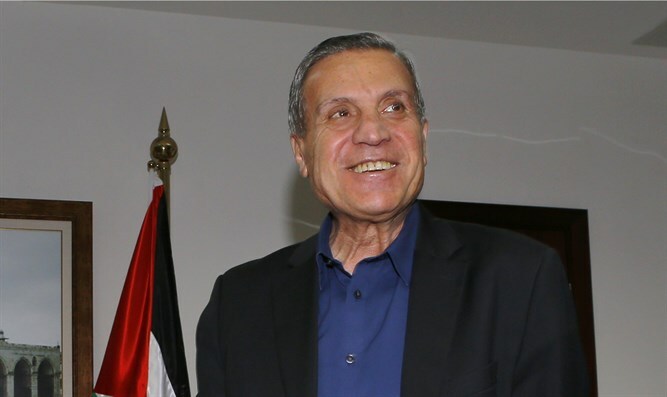 The official PA news agency Wafa quoted Abu Rudeineh as saying that the deal of the century will never be a prelude to a successful political process as long as the city of Al-Quds (the Arabic name for Jerusalem -ed.) and the issue of the “Palestinian refugees” are not included in it. Abu Rudeineh added that the contacts being conducted in an attempt to undermine the "sacred" Palestinian national principles would further destabilize the entire Middle East and strengthen the resolve of the Palestinian people and its leadership to adhere to its land, rights and holy places. He added that the way to implement just and lasting peace passes through Arab and international legitimacy and the Palestinian decision to adhere to Al Quds and to national principles. The comments come ahead of a visit next week by the U.S. Special Representative for International Negotiations, Jason Greenblatt, and President Donald Trump's son-in-law and senior adviser, Jared Kushner. The two will visit Jerusalem, Cairo and Riyadh as they prepare to present the Trump administration’s peace plan but will not visit Ramallah or meet any PA officials.